2019/02/12 You may see love everywhere in the opening months of 2019, and some of it may be real. Most of it will be wishful and imaginative thinking, though, as the Moon and Neptune work their will on you this year. It can still be a great deal of fun, so long as feelings dont get hurt. Protect your heart and try to be open and kind.Playful conversation and short trips (such as visits to art galleries, movies, parks, gardens) should be the mainstay of dates this year, with good conversation being the most satisfying. 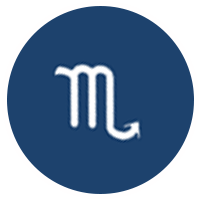 If your companion cant enjoy a good joke or share a sharp observation, the relationship may not last long.Your love life is strongly impacted when the Sun conjuncts Mars (February 14). Turn down the heat a bit, maybe take a cool shower, and dont chase away someone great who can almost but not quite keep up with your quick pace.February promise many pleasant times with pleasant people. Late February (with the Lunar North Node entering Libra) is a good time to meet that truly special someone (if youre looking).